Hydrochloric acid (HCL) is produced in the stomach to aid in activating digestion of foods and protection of the intestinal flora. Excess stomach acid (HCL) has traditionally been treated as a result of low HCL levels that creates cycles of over- and under-production. With the advent of direct-to-consumer marketing by pharmaceutical companies, the public was entrained to believe that this was purely an excess HCL problem that needed to be suppressed with antacids, leaving behind the science, physiology, and wisdom of the body. You also lose the protective and functional effects that HCL provides. Proper HCL levels in the stomach kill off many pathogens that otherwise would enter into the intestinal tract and potentially create problems. Clostridium difficile, the number one cause of infectious disease deaths with over 30,000 per year, is linked to antacid medications. Proper HCL levels are necessary to digestive function once food leaves the stomach and passes into the intestinal tract. The acidic base that the food is in, as well as the partially digested foods from HCL’s presence in the stomach, trigger further digestion and absorption of nutrients. Without this, we don’t have proper liver/gall bladder and pancreatic function and digestion. This will cause further nutritional losses of fats, fat-soluble vitamins, proteins, etc. HCL deficiencies can lead to the creation and overgrowth of pathogenic bacteria and fungus in the intestinal tract through altered pH. The downside to HCL deficiency spirals out exponentially at a very rapid pace creating systemic problems throughout the body and contributing to long-term health challenges, conditions, and diseases. A recent study found that 71% of patients taking antacid medication, Proton Pump Inhibitors (Prilosec, Prevacid, Aciphex, Protonix, and Nexium) or H2 Receptor antagonists (Tagamet, Zantac, Ranitidine) had fungal candida overgrowth. Also present, was overgrowth of antibiotic resistant strains of bacteria. Both findings point to the lasting effects of antibiotics in the body, and the risk of antacid medications. Prolonged use of antacid medications is associated with increased risk of hypergastrinaemia that leads to cancer. 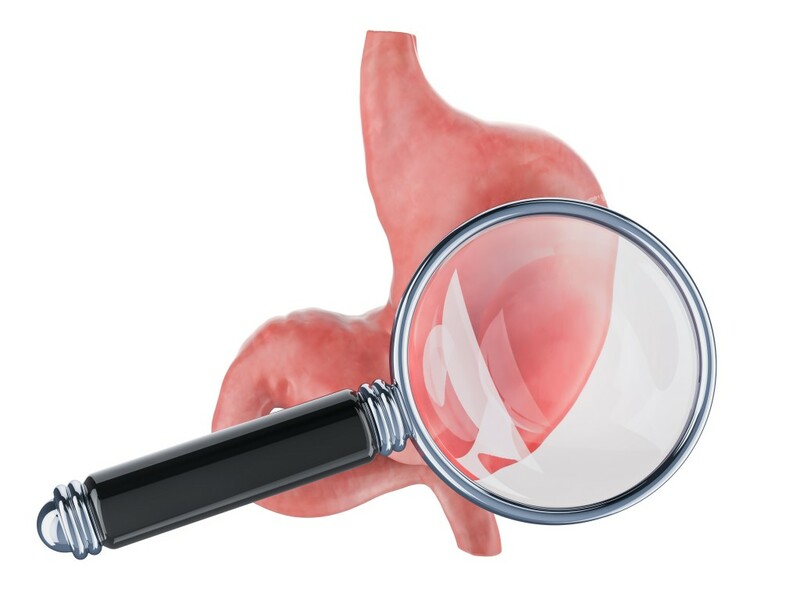 Taking antacid medications causes destruction of the stomach lining. Low HCL levels are associated with skin conditions such as psoriasis, eczema, rosacea, boils and dermatitis, as well as problems like fibromyalgia. One of the most common causes of HCL imbalances is past antibiotic use. Antibiotics destroy the beneficial bacteria that synthesize B vitamins necessary for HCL production in the stomach. Antibiotics alone are not shown to be capable of inducing low levels of HCL. It also requires the overgrowth of fungal candida that happens subsequent to antibiotic use. Fungal candida plays a role in reshaping the bacterial flora to a composition that affects HCL production. It is believed that HCL production starts to decline as we get older. This may also be a result of past antibiotic use, so I’m not as convinced that this is a normal part of aging, as it is a normal part of a society that is over-inundated with antibiotic exposures. Once antibiotics destroy the beneficial bacteria of the stomach and intestines, candida plays a role in determining subsequent function. Unfortunately, most medical doctors are completely unaware of the widespread nutritional and functional downside from antibiotic and antacid use. If you’d like to put your MD through the litmus test on his knowledge of human physiology, a required course of study for all doctors in order to be licensed, ask him to explain which nutrients are lost when taking antacid medications. Then observe as all kinds of responses manifest, except a direct answer to your question. Ask him to give you the typical dosage on antacid medications and he’ll pass with flying colors. The knowledge of the human body has been replaced with pharmaceutical protocols. Many Holistic doctors treat low HCL by giving Betaine HCL with Pepsin in either capsule or tablet form. If someone has chronic inflammation of the intestinal tract and they take HCL, it tends to produce a burning sensation. A warming sensation is normal. A burning sensation with just one capsule can be diagnostic for chronic intestinal inflammation. In either case, restoring normal HCL levels is essential to health, and chronic low levels can have a tremendous negative effect on health and healing. You start by taking 1 capsule of HCL with each meal. If no burning occurs, continue to increase this by 1 with each meal, per day, or every other day, until it creates a burning sensation, then decrease the dosage by 1 capsule and stay at this dosage. For example, you take 1 capsule with each meal on Monday. If no burning, take 2 capsules with each meal on Wednesday. If no burning, take 3 capsules with each meal on Friday, etc. Now if on Saturday, you took 4 capsules and experienced a burning sensation, then you would back off to the 3 capsules with each meal and stay at that dosage. Some people get up to 4-8 capsules with each meal. How long you stay there varies, but I have seen some people do this for a year or two, before they start to get a burning sensation and then need to reduce the dosage. Once in a great while, someone will do the 1 pill with each meal for one day and then find that their HCL production kicks in and they don’t need anymore. It’s a rarity, but does happen. Balancing your digestive function as the same time through the McCombs Plan can help to reduce how long someone might need to take HCL. So how do you know if you have a HCL deficiency? The expensive way is via the Heidelberg pH Capsule or the GastroCap. This is ordered by your doctor. Another way to check at home is to mix one-quarter teaspoon of baking soda in eight ounces of cold water, first thing in the morning, before eating or drinking anything except water. Drink the baking soda solution. Time how long it takes to belch. Time up to five minutes. If you have not belched within five minutes stop timing anyway. If your stomach is producing adequate amounts of hydrochloric acid you should probably belch within two to three minutes. Three to five minutes will most likely be due to some level of deficiency. Early and repeated belching may be due to excessive stomach acid. Belching results from the acid and baking soda reacting to form carbon dioxide gas. The Heidelberg or Gastrocap tests can be employed for confirmation of the results of this test. If while you’re correcting HCL imbalances, you find that you have an excess amount at anytime, the old remedy of 1/4 teaspoon of baking soda in some water works well. Antacid medications can continue to produce negative effects years after discontinuing them. For those people who find themselves caught in the cycle of chronic intestinal inflammation and HCL imbalances and taking 1 capsule produces burning, you may have to start by opening the HCL capsule and just using a pinch of HCL with each meal mixed in water. It can be a bit of an uphill battle, but it is a much better alternative to a steady downhill slide in overall health. For long-lasting results, restoring the health of the digestive tract will produce the best results. The bottom line is this: Antibiotic use and subsequent fungal candida overgrowth together can create low levels of HCL that lead to acid reflux, gastritis, ulcers, and a number of conditions. Treatment with antacid medications helps to create even more fungal candida overgrowth and a very long list of conditions, diseases, and cancers. Either way, fungal candida will be present. How will you treat it? Get started on greater health with Dr. McCombs Candida Plan.